It is common knowledge that to get a good ranking in Google and generate decent traffic you must use the proper keywords on your posts. Easier said than done!And that is where keyword search tools come in handy. Though, most keyword suggestion tools charge at least $50 per month for the service there are a few keyword search tools which can help you perform some basic but still vital keyword research for your website. Here is a list of a few keyword search tools which are definitely worth checking out, especially for the entry level blogger. 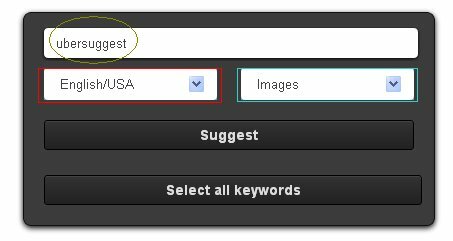 This is a very simple and basic keyword suggestion tool and quite hassle-free to use with no registration or even captcha requirement. 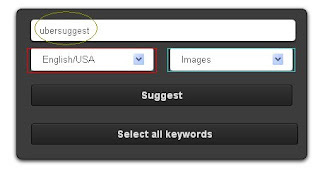 Ubersuggest provides results in various languages and across several search verticals such as web, news, images etc. It also come with very handy cut paste options for "exporting" your keywords. Wordtracker is one of the most used keyword research tools and many other paid keyword research packages also uses some of its variations. The free version of this keyword tool not only suggests a HUGE amount of related keywords but also provides an estimate of the number of searches performed for each for a better insight. Also there is a filter for adult keyword which may be particularly useful in some niches. However, to regularly use the Wordtracker tool you must sign up for a free account and there is a cap on the maximum keyword searches you can perform in a day. SEOBook is one of the most complete keyword research packages that is still available for free. Not only do they provide you with a list of keywords with some Google insights to help you make better decisions but SEOBook also provides free courses for more effective keyword research, several other SEO tools and Firefox extensions and also some exclusive free trials for other keyword search tools. All you need to do is signup for a free account! Apart from thse you can always use the free and highly reliable SEO and keyword research tools provided by Google such as Adwords Keyword tool, Google Trends, Google insights etc.